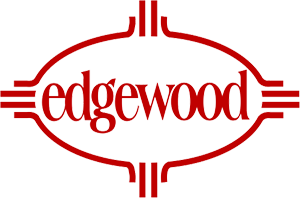 Edgewood products are manufactured from cowhide that has been vegetable-tanned in the United States. We believe it is the finest quality leather available, and with proper care, your tack should last you for many, many years. Over-oiling is the number one cause of leather damage. It can lead to excessive stretching and eventual rot. The second most common cause of damage - and shortened lifespan - is inconsistent cleaning and care. All leathers do best when cleaned after each use and properly oiled, but not over-oiled. Neither we nor our tannery feels it is necessary to use any product that contains a petroleum distillate or solvent of any kind. We have found that over time, these products can weaken the nylon threads we use for manufacturing. So it is our suggestion that oil compounds containing any solvent, or petroleum product of any kind, be avoided with the exception of the first oiling. NOTE: Do not use any compound oils on your RUBBER REINS. Use Neets Foot Oil ONLY, even on the first oiling. The rubbers on your Edgewood Rubber Reins are pure, natural rubber. The solvents and petroleum distillates that are in tack oil compounds will melt the rubber turning it to a gooey mess. .
For a first oiling (of all tack but rubber reins), we recommend using a mix of 90% Neets Foot Oil and 10% Neets Foot Compound. The little bit of solvent in the small amount of compound in the first mix will ‘loosen’ the leather and help the oil to soak in. The oil should be bath-warm - but not hot!! Dip the tack in the oil - do not soak! Remove the tack from the oil and allow it to sit for about 12 - 24 hours. Once it has set, wipe off all excess oil. If you find that there are spots where the oil did not penetrate, you can rub them, gently, with a little of the Neets Foot Compound, and then rub with pure Neets Foot Oil, but do not re-dip. Also, do not rub vigorously as this may darken the rubbed area. After the first oiling, use 100% Neets Foot Oil only as necessary. Do not dip, but apply with an oiled cloth. Be sure to clean your tack thoroughly prior to applying any oil. The proper cleaning of your tack after each use is essential. Remove all sweat, dirt, dust and other debris from your tack paying close attention to seams and folds. After a thorough cleaning, touch up any spot that looks dry with a cloth dipped in Neets Foot Oil. That’s it! Your beautiful Edgewood tack should last you for many years.